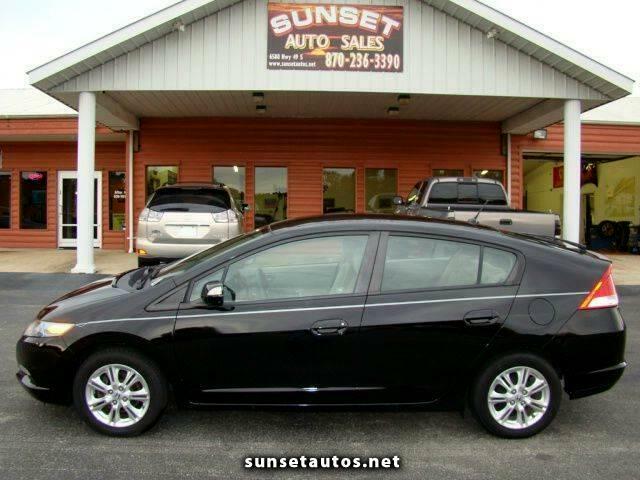 This is a beautiful 2010 Honda Insight EX hybrid, 4 cylinder, black with grey cloth, automatic, 90,000 miles, features include navigation, blue tint headlights, alloy wheels, cd stereo, cruise, power windows, power steering, power door locks, air conditioning, keyless entry, mp3 input, automatic climate control, mudguards, and floor mats. This car runs great and look great too, tires are in great shape, and the engine sounds great too, of course gets great gas mileage. The seats and the rest of the interior looks beautiful and everything is in great working order, it will come with a rebuilt title due to prior minor damage to the rear end.